Not an exciting picture per se, but the conversations were far more enlightening. 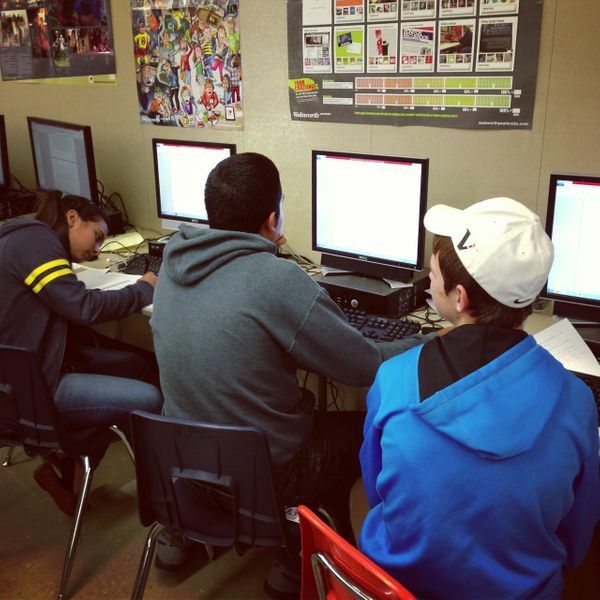 Students are writing articles for the upcoming newspaper. The first edition was fantastic and I loved the authentic stories told. I look forward to seeing what this next issue contains! Mr. Campanero was working with students individually at the front of the class, helping them revise and edit their articles. He asked great questions and led the students to reflect on their writing, which instantly improved their sentence structure and flow of words.